It’s a party of epic proportions! 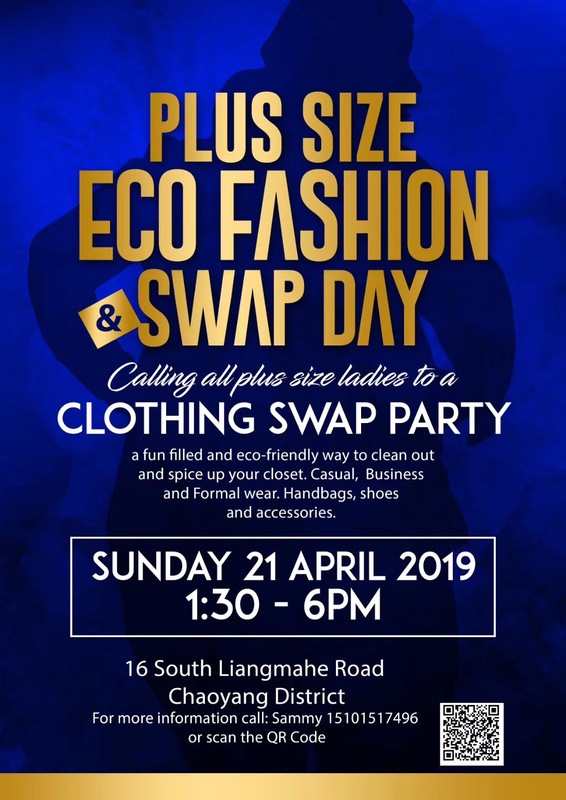 Sammy Sibanda call on all plus size ladies in Beijing to join this eco-fashion swap day, a fun-filled event to clear out or spice up your closet! Sibanda understands that sometimes plus size women find it hard to find clothing their size, and worse, still do not know where to find it! So she organizes a clothing swap, bringing everything that plus size women need in one roof. Everyone is also invited to the party, but attendees who wish to join the swap are asked to bring gently used plus size clothing and accessories, bags and shoes, and other items. Note that ladies shoes range from 42-44 (US 10-12). Adults. 1.30-6pm. 16 South Liangmahe Road, Chaoyang District. Contact Sammy Sibanda at 15101517496 for more information.